The system is based on Ubuntu 18.04 LTS and Debian. It’s a total rebuild. I.e. nothing is left of the old LFA system. 1. This is a very BIG system (2020MB). 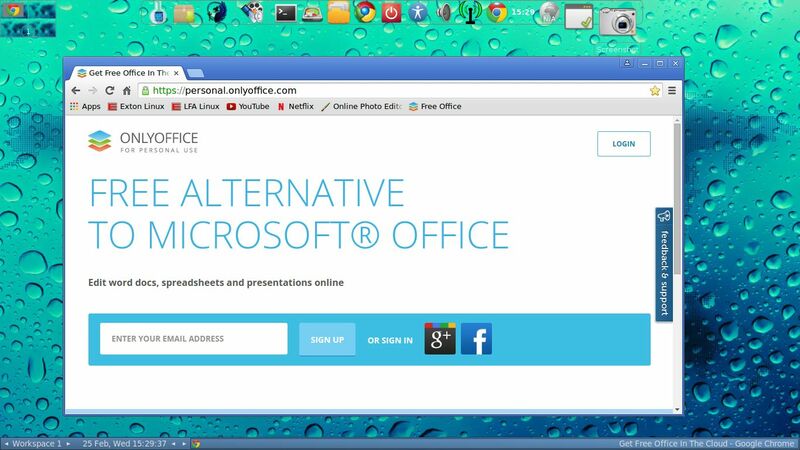 All packages the ordinary Linux user can wish for are pre-installed. Study the full packages list. 2. Kernel 4.15.0-19-exton is used. 3. I have installed Nvidia’s latest proprietary graphics driver 390.48. 4. 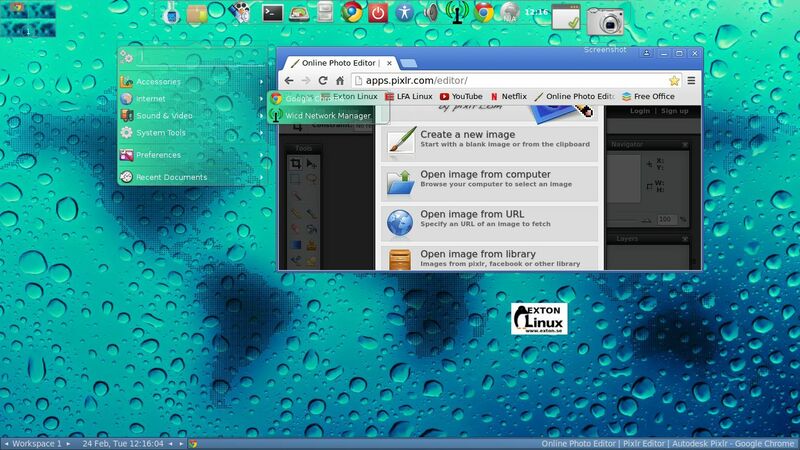 The Desktop environment is LXDE – Designed to be user friendly and slim, while keeping the resource usage low. 5. The main Web Browser is Google Chrome. So you can watch Netflix! 6. 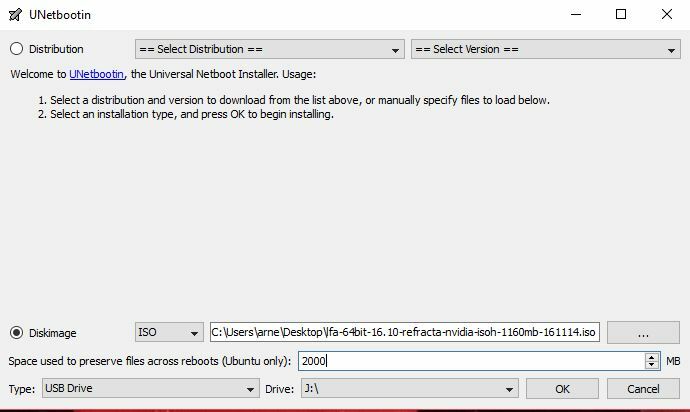 I have included Refracta tools (Refracta Snapshot) to make it possible for you to create your own installable Ubuntu 18.04 LTS Live DVD once you have installed LFA to hard drive. This is done in the easiest possible way! 7. 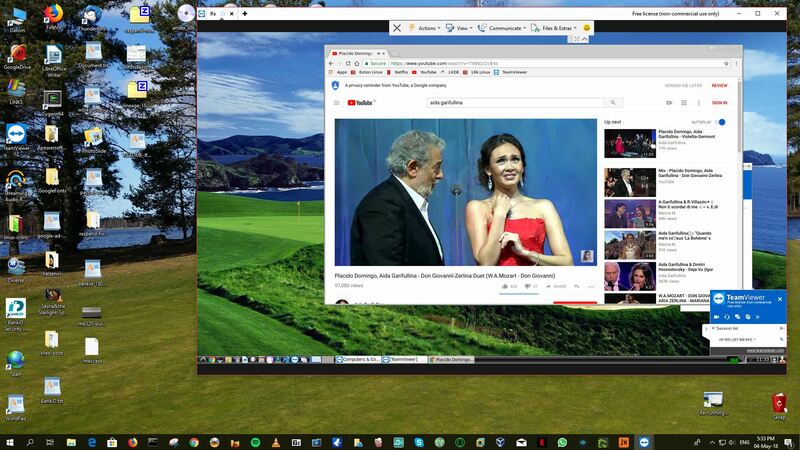 Use TeamViewer (pre-installed) to control your Windows computers from LFA. Or control LFA from your Windows computers. When the boot process is ready you will end up at LightDM’s login screen. Log in as the ordinary user live with password live. You can’t log in to LXDE as root (superadmin) from LightDM. The password for root is root. When logged in as live you can use Sudo to become root. (Command: sudo su). If you for some reason still want to run LFA as root you can do it by pressing Ctrl Alt F1 simultaneously. 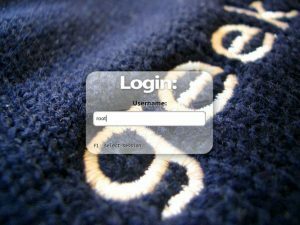 Log in as root with password root. Then run startx. 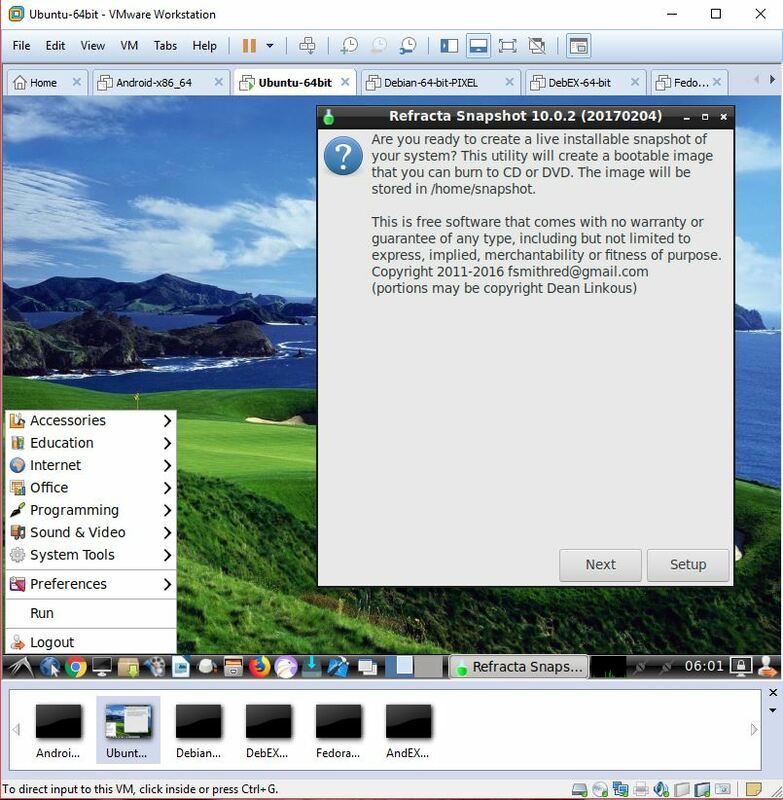 Use TeamViewer (pre-installed) to control your Windows computers from LFA. 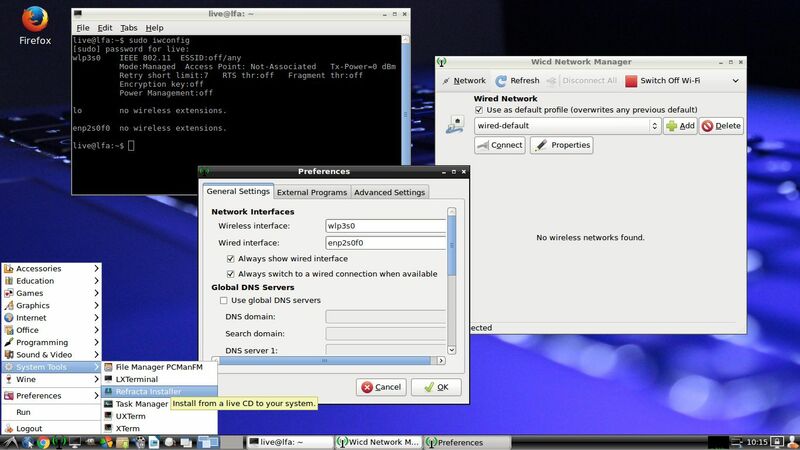 Or control LFA from your Windows computers. Please read my INSTRUCTION about the best way to perform a USB installation. You can use the Refracta Tools (pre-installed in LFA Build 180504) to create your own installable Ubuntu 18.04 LTS Live DVD once you have installed LFA to hard drive. I mean change everything and then create a whole new Ubuntu live system. When you start Refracta it will look like this. You don’t even have to install LFA to hard drive before you can use the Refracta tools. If you have plenty of RAM you can create a new (your own!) 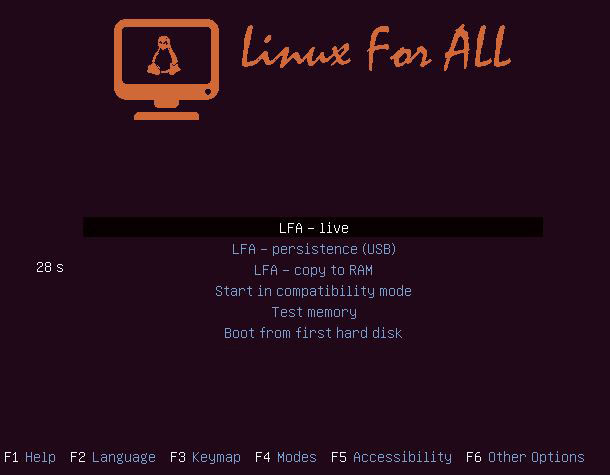 Ubuntu live installable system while running LFA from DVD or a USB stick. Please note that the whole Refracta process (creating your new ISO) will only take 10 – 30 min! 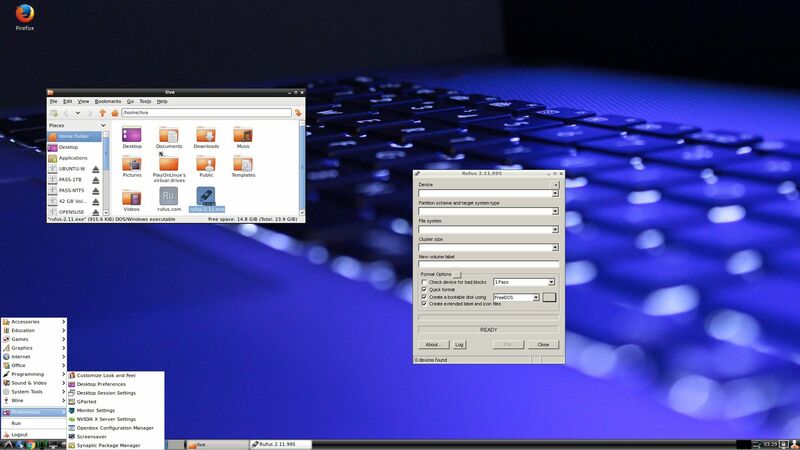 You can then install VirtualBox in LFA so you can test run your own created new Ubuntu ISO. Or do it in Windows. 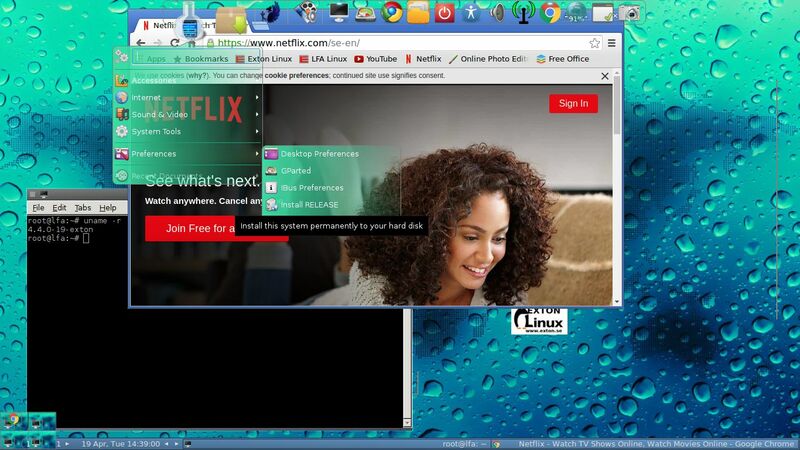 Btw: You can do the whole thing in VirtualBox. I mean install LFA in VirtualBox, change everything, create a new Ubuntu system using Refracta tools and transfer your new ISO to your server with FileZilla. Or just copy your new ISO file to a USB stick. If you want (and can) use Nvidia’s proprietary graphics driver 390.48 you shall boot up LFA using boot alternative 4 (fail-safe). Then open up a terminal and run sudo nvidia-xconfig. Log out. NOTE: Maybe you don’t even have to run the command nvidia-xconfig. I.e. your Nvidia card will be used automatically. Check that by starting Nvidia X Server Settings under Menu (LXDE) >> Preferences. If you can’t reach X/LXDE after running nvidia-xconfig etc. your card isn’t supported. Delete xorg.conf with sudo rm /etc/X11/xorg.conf and run the command startx. Or reboot your computer. After a hard drive installation of LFA the open source driver Nouveau will be used, since it’s “built in” in the kernel. If you want and can use Nvidia’s proprietary graphics driver 390.48 you’ll have to run the command sudo nvidia-xconfig and restart your computer. You’ll also have to change /boot/grub/grub.cfg as this example shows. LFA Build 180504 can be downloaded from SourceForge.net – Fast, secure and free downloads from the largest Open Source applications and software director. 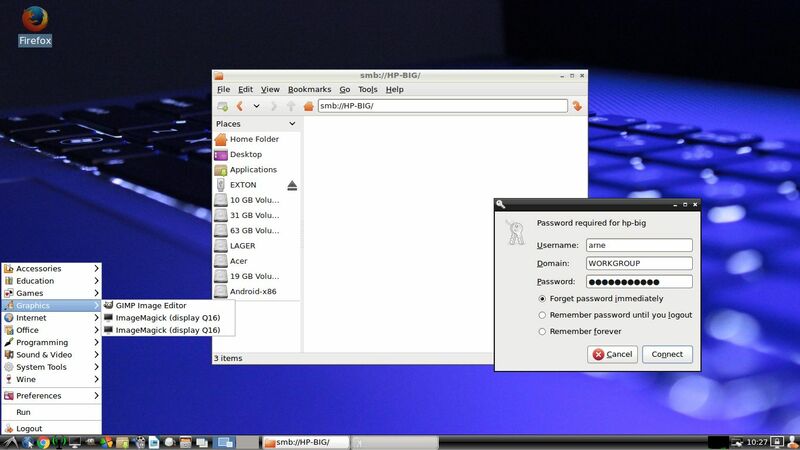 The system is based on Ubuntu 16.04.3 LTS and Debian Jessie. It’s a total rebuild. I.e. nothing is left of the old LFA system. 1. This is a very BIG system (2430MB). 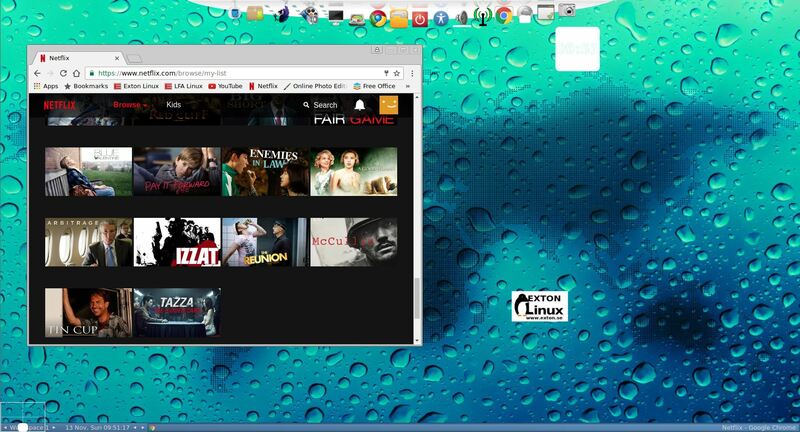 All packages the ordinary Linux user can wish for are pre-installed. Study the full packages list. 2. Kernel 4.12.0-12-exton (corresponding Kernel.org’s second latest stable kernel 4.12.8) is used. You can download “my” kernel and install it in another Ubuntu/Debian system (if you want). 3. I have installed Nvidia’s latest proprietary graphics driver 384.69. 6. I have installed Wine just to be able to install Firefox for Windows (which I have done). The Windows version is needed if you want to watch HBO Movies/HBO Nordic. The Pepper Flash plugin just doesn’t work anymore in Ubuntu. 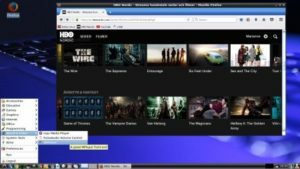 With Wine installed you can install many other Windows programs using PlayOnLinux. (Also pre-installed by me). 7. 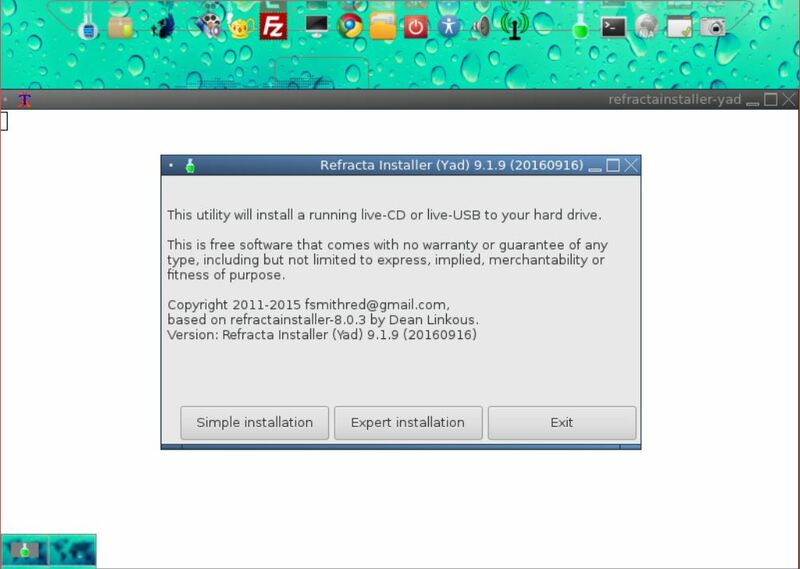 I have included Refracta tools (Refracta Snapshot) to make it possible for you to create your own installable Ubuntu (16.04.3/16.10/17.04/17.10) Live DVD once you have installed LFA to hard drive. This is done in the easiest possible way! When the boot process is ready you will end up at Slim‘s login screen. Log in as the ordinary user live with password live or as root (superadmin) with password root. When logged in as live you can use Sudo to become root. (Command: sudo su). Note that you in advance (just in case) should create a partition of at least 8 GB for LFA and a SWAP space double the size of your computer’s RAM. I.e. if you have RAM of 1024 MB or less. If you have RAM of 2 GB or more it’s enough with a SWAP space of 2 GB. The installation program Refracta Installer in LFA is otherwise “intuitive”. Choose manual partitioning and select the partition you created in advance for installation. 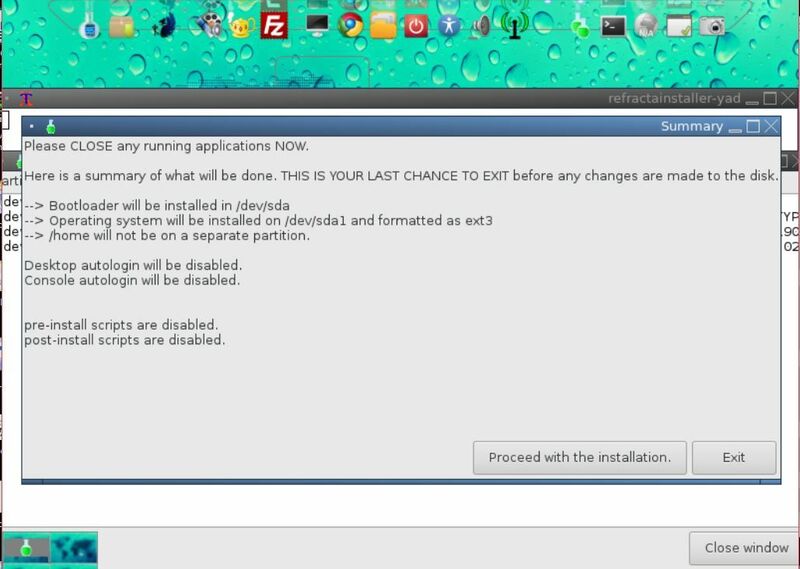 You’ll find the installation program under Menu (LXDE) >> System Tools >> Refracta Installer. NOTE: You should format your intended installation partition in advance. You can use GParted (installed in LFA) for that. Be sure to unmount all partitions before you start Refracta Installer. You can use the Refracta Tools (pre-installed in LFA Build 170827) to create your own installable Ubuntu (16.04.3/16.10/17.04/17.10) Live DVD once you have installed LFA to hard drive. I mean change everything and then create a whole new Ubuntu live system. When you start Refracta it will look like this. You don’t even have to install LFA to hard drive before you can use the Refracta tools. If you have plenty of RAM you can create a new (your own!) Ubuntu live installable system while running LFA from DVD or a USB stick. Please note that the whole Refracta process (creating your new ISO) will only take 5 – 10 min! 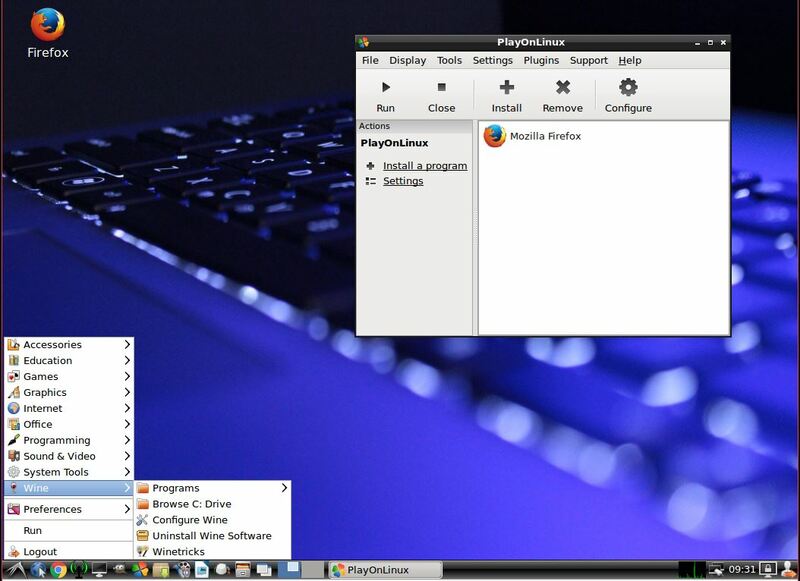 You can then install VirtualBox in LFA so you can test run your own created new Ubuntu ISO. Or do it in Windows. Btw: You can do the whole thing in VirtualBox. I mean install LFA in VirtualBox, change everything, create a new Ubuntu system using Refracta tools and transfer your new ISO to your server with FileZilla. Or just copy your new ISO file to a USB stick. If you want (and can) use Nvidia’s proprietary graphics driver 384.69 you shall boot up LFA using boot alternative 4 (Start in compatibility mode). Then open up a terminal and run sudo nvidia-xconfig. Log out. NOTE: Maybe you don’t even have to run the command nvidia-xconfig. I.e. your Nvidia card will be used automatically. Check that by starting Nvidia X Server Settings under Menu (LXDE) >> Preferences. If you can’t reach X/LXDE after running nvidia-xconfig etc. your card isn’t supported. Delete xorg.conf with sudo rm /etc/X11/xorg.conf and run the command startx. Or reboot your computer. After a hard drive installation of LFA the open source driver Nouveau will be used, since it’s “built in” in the kernel. If you want and can use Nvidia’s proprietary graphics driver 384.69 you’ll have to run the command sudo nvidia-xconfig and restart your computer. You’ll also have to change /boot/grub/grub.cfg as this example shows. This build of LFA has been replaced by Build 180504. The system is based on Ubuntu 16.04.1 LTS and Debian Jessie. It’s a total rebuild. I.e. nothing is left of the old LFA system. 1. This is a very BIG system (2020 MB). All packages the ordinary Linux user can wish for are pre-installed. Study the full packages list. 2. 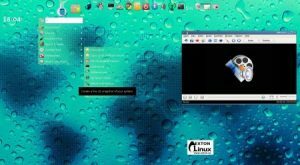 Kernel 4.9.0-15-exton corresponding Kernel.org’s latest stable kernel 4.9.5 is used. It was released yesterday (170120). You can download “my” kernel and install it in another Ubuntu/Debian system (if you want). 3. I have installed Nvidia’s latest proprietary graphics driver 375.26. If you want (and can) use Nvidia’s proprietary graphics driver 375.26 you shall boot up LFA using boot alternative 4 (Start in compatibility mode). Then open up a terminal and run sudo nvidia-xconfig. Log out. NOTE: Maybe you don’t even have to run the command nvidia-xconfig. I.e. your Nvidia card will be used automatically. Check that by starting Nvidia X Server Settings under Menu (LXDE) >> Preferences. If you can’t reach X/LXDE after running nvidia-xconfig etc. your card isn’t supported. Delete xorg.conf with sudo rm /etc/X11/xorg.conf and run the command startx. Or reboot your computer. After a hard drive installation of LFA the open source driver Nouveau will be used, since it’s “built in” in the kernel. If you want and can use Nvidia’s proprietary graphics driver 375.26 you’ll have to run the command sudo nvidia-xconfig and restart your computer. You’ll also have to change /boot/grub/grub.cfg as this example shows. 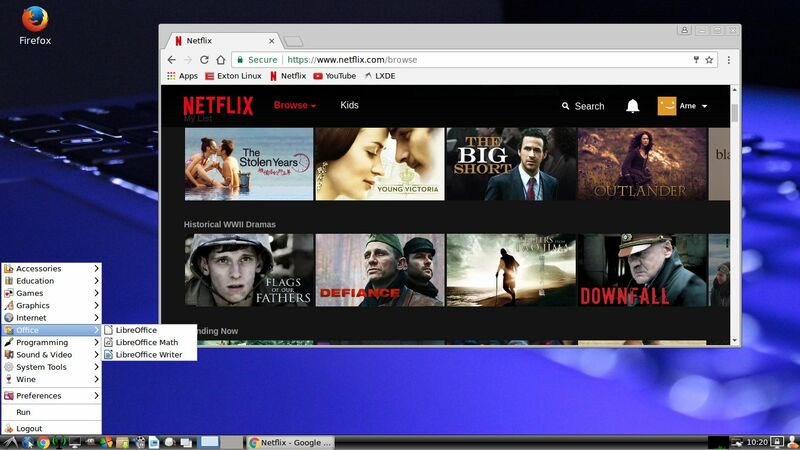 The system is based on Ubuntu 16.04, codenamed Xenial Xerus and Debian Jessie (Debian 8.4). It’s a total rebuild. I.e. nothing is left of the old LFA system. A new upgraded version of LFA is out. All installed packages have been updated to the latest version as of 160419. 1. One of my previous versions of LFA (build 141120) had four (4) Desktop environments installed. 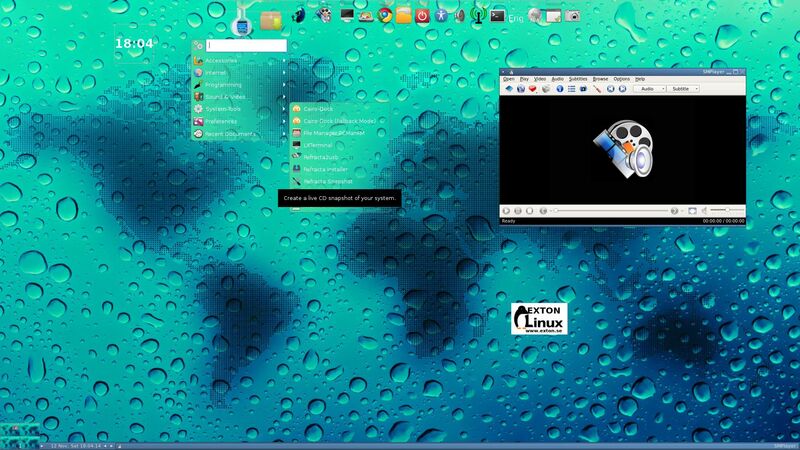 Namely Unity (Ubuntu), LXDE, Razor-qt and XBMC. LFA build 160419 uses only Fluxbox as Window Manager and Cairo-Dock as Desktop Interface. 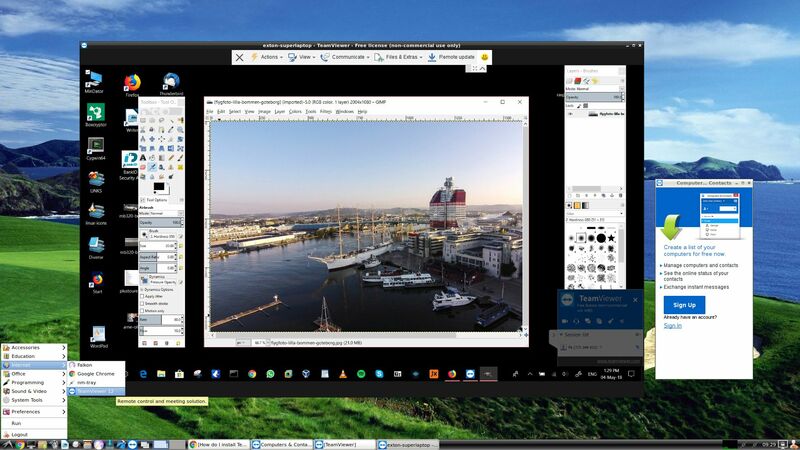 Cairo-Dock is designed to be light, fast and customizable, and is desktop-agnostic. It has a powerful DBus interface, to be controlled from a terminal or another application. Features can be added by plug-ins or applets, and applets can be written in C or in any language. 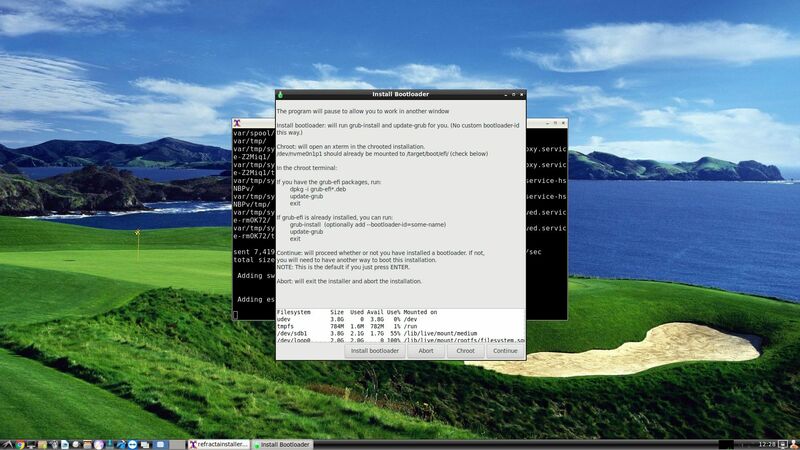 About Fluxbox: Fluxbox is a Window Manager for X that was based on the Blackbox 0.61.1 code. 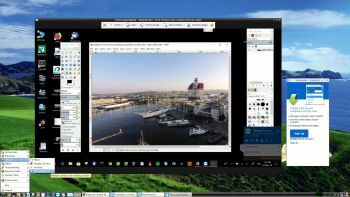 It is very light on resources and easy to handle but yet full of features to make an easy, and extremely fast, desktop experience. So who needs KDE or Gnome? 3. Another big improvement is that LFA now can run from RAM. Use Boot alternative 3 (Copy to RAM). It will look like this. When the system has booted up you can remove the disc (DVD) or USB stick. You’ll need at least 2 GB RAM to run LFA that way. I.e – superfast! 4. Kernel 4.2.0-16-exton is replaced by kernel 4.4.0-19-exton. (4.4.0-19 is the latest Ubuntu kernel). Among many other programs Google Chrome (so you can watch Netflix movies), GParted (a free partition editor for graphically managing your disk partitions), BlueGriffon Web Editor (works almost like Dreamweaver), Synaptic Package Manager, SMPlayer (a free media player with built-in codecs that can play virtually all video and audio formats) and PCManFM (a very fast file manager). In addition flash and all necessary additions in order to install programs from source. All programs have been updated to the latest available version as of April 19, 2016. See a complete list of all installed packages. What’s new in kernel 4.4? Differences: Ubuntu 16.04 and LFA is different only in principle to the terms of program content. A general truth: If an original system can run on a particular computer an “Exton remaster” of the same original system can run on the same computer. I never change a Linux system for the worse in terms of auto configuration and hardware detection, etc. It happens that I replace the original kernel (which I have done in this case), but always to a “better” one with even more native support for various hardware etc. The password for root (superuser) is root. When you start up LFA from the live dvd/USB stick you will end up at Slim‘s login screen. Log in to Fluxbox as the ordinary user lfa with no password or as root with password root. When logged in as lfa you can use Sudo to become root. Command: sudo su. NOTE: On certain computers you may end up in console mode logged in as lfa. Then just run the command startx and you will enter Fluxbox. Note that you in advance (just in case) should create a partition of at least 8 GB for LFA and a SWAP space double the size of your computer’s RAM. I.e. if you have RAM of 1024 MB or less. If you have RAM of 2 GB or more it’s enough with a SWAP space of 2 GB. The installation program Ubiquity (Ubuntu’s installer) in LFA is otherwise “intuitive”. Choose manual partitioning and select the partition you created in advance for installation. 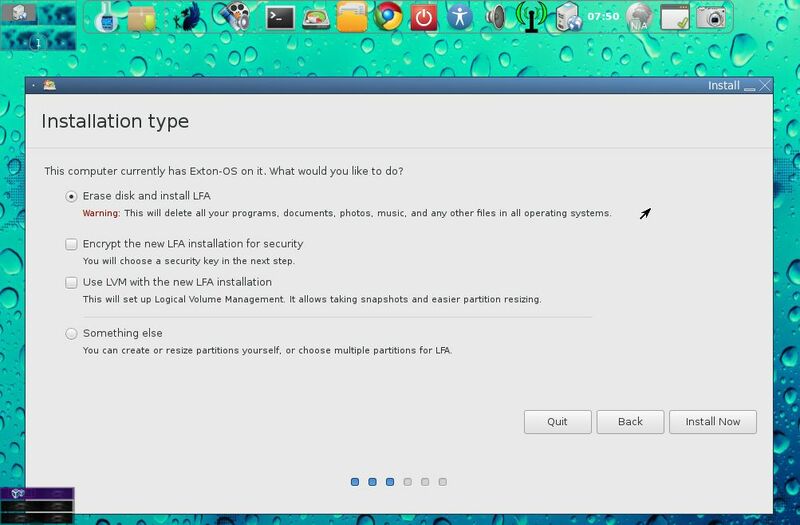 You’ll find the installation program under Menu (Cairo-Dock) >> Preferences >> Install LFA. NOTE: You should format your intended installation partition in advance. You can use GParted (installed in LFA) for that. Be sure to unmount all partitions before you start Ubiquity. (The program might crash otherwise). You should use UNetbootin in Windows or Linux. 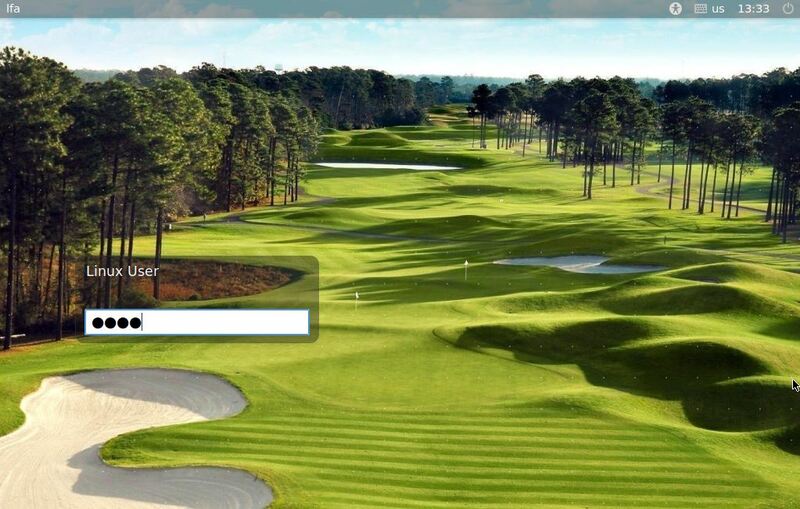 See a picture how it looks before the installation starts in Windows 10. NOTE: You must replace syslinux.cfg in the root of the stick with this file (to enjoy persistence and to be able to run LFA from RAM). There’s other ways to do it, but using UNetbootin is the best/safest way. However, if you want to install LFA to harddisk you will have to run the system from a DVD during installation. If you use Startup Disk Creator in Linux to transfer LFA to USB it is possible to install LFA to a hard drive later on from the USB stick. NOTE: Please read my INSTRUCTION about the best way to perform a USB installation. LFA is totally compatible with Ubuntu 16.04 Xenial Xerus and therefore uses Ubuntu’s repositories. After a hard drive install of LFA you can go ahead an install any extra software you like and also upgrade the whole system. After running the command apt-get update you should use Synaptic Package Manager. NOTE: If you want to add repositories with a command (for example: sudo apt-add-repository ppa:kubuntu-ppa/backports) you’ll have change the first line in /etc/lsb-release to “DISTRIB_ID=Ubuntu“.